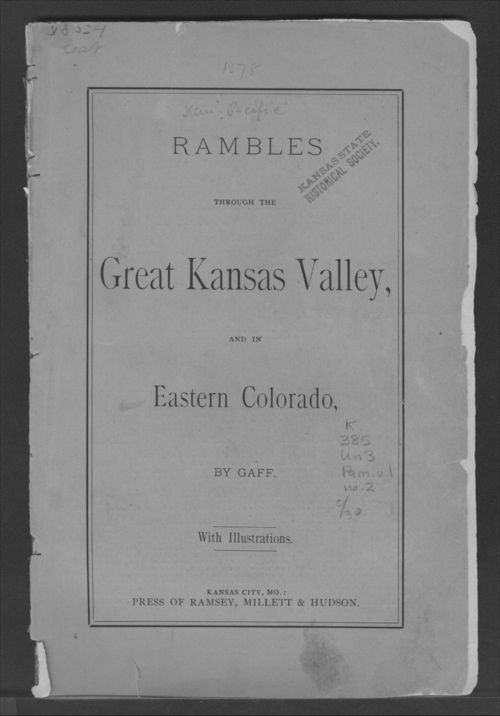 This Kansas Pacific Railway land promotional publication describes the natural scenery and resources to be found along the Kansas Pacific route with respect to its future economic development. The last section of text relates to buying Kansas Pacific Railway land. There are a number of advertisements for various businesses, particularly in the Colorado Springs, Colorado area.